People in markets such as China, Brazil and India use the opportunities offered by web-connected television more than those in the UK, US and Germany. This is according to research carried out across thirteen countries by GfK, the consumer research experts. A study by consumer research experts GfK found that western consumers are stuck in an ‘analogue’ mindset, whereas viewers in emerging markets are more likely to exploit the digital capabilities of Connected TV. 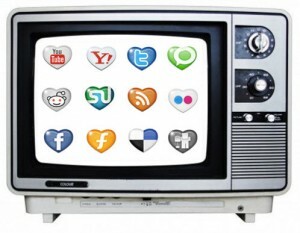 Across all markets, the ability to connect to the internet is seen as less important than price, screen size and display technology, when buying a new TV. However, the disinterest in Internet connectivity for TVs is significantly greater in the Western countries, than in the emerging markets. Only 26 per cent of UK and 29 per cent of US consumers say they look out for a net enabled TV set, compared to 61 per cent in India and 64 per cent in China. But there is hope on the horizon. Market data from GfK shows that the demand for Smart TVs is gaining momentum in the West, with sales in the six biggest European countries increasing by 31 per cent in the first half of 2012. The study also shows that discovery is still more important to viewers than interaction: 33 per cent more viewers search for information on the shows they are watching than use social networks to share the experience with friends. GfK therefore argues that programme makers need to focus on viral campaigns and digital bonus content to enhance the viewers’ experience, rather than looking for viewers to enhance their own experience via interaction. GfK’s findings also suggest intuitive control will be the next big growth area. They found that 67 per cent are interested in touch and gesture TV control and 43 per cent want to control their TV using something other than the traditional remote control. With smartphones developing beyond the traditional boundaries of a mobile phone, it is likely that this technology holds an advantage over TV in having already defined its usability credentials in terms of touch and gesture control.